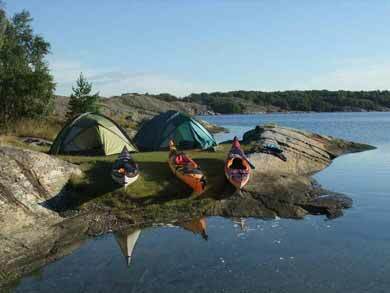 Sweden and Finland's archipelagos are a paradise for kayaking. The tens of thousands of islands, rocks and skerries, many of which are uninhabited, offer endless possibilities for sea kayaking adventures for both novices and more experienced paddlers. On the east coast of Sweden, choose between guided or self-guided sea kayak tours exploring some of the 24,000 islands of the Stockholm Archipelago or venture a little further south into St. Anna Archipelago and Gryt Archipelago regions. 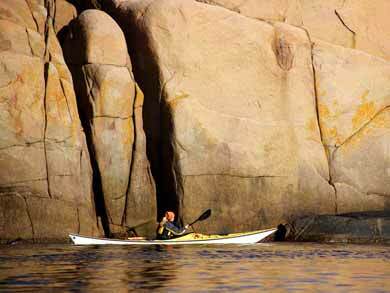 On Sweden's west coast, easily accessible from Gothenburg, we offer opportunities for both guided and self-guided sea kayaking among the gneiss rock landscape of Bohuslän, including itineraries with an instructional element to help you develop your kayaking skills. 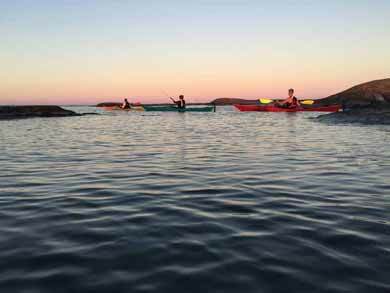 In Finland, the Helsinki Archipelago offers hundreds of islands waiting to be explored on flexible kayak adventures just a short distance from the city. 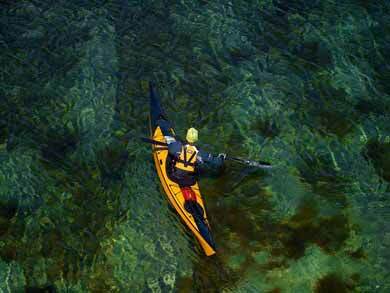 Kayaking in the Nordic countries is a real close-to-nature experience. The majority of our tours feature wild camping, very possibly on your own private island, which in some cases can be combined with options for guesthouse accommodation before/after or during the tour. And after a day's paddling, what better way to end than with a refreshing swim before dinner? Kayak tours are suitable for adults or in some cases families with older children and are the perfect way to discover the coastal landscapes of Sweden and Finland. Compare our range of kayak tours. 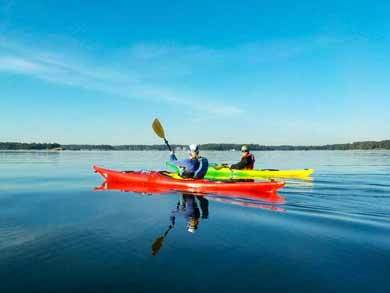 Canoe or Kayak in Linnansaari National Park is another option for an inland tour using kayak. We also offer a very wide range of canoe tours.